IceBlinkEngine.com • View topic - How to get rations? My apologies if this is the wrong forum. I wasn't sure where else to put it. This is my first time playing Iceblink. I decided to try Lanterna for my first go. I've reached a point where I'm losing HP from not having rations. The only way I can find to get rations, though, is to buy them from the store in town. The trouble is, the rations cost 100GP. Which, first of all, is a crazy price point for dried meat and bread. But, more importantly, is way beyond the amount of money my party has unless I sell all of my gear and fight with my bare hands. Can anyone tell me if there's another way to find rations so I can stop hemorrhaging HP everywhere i go? Re: How to get rations? 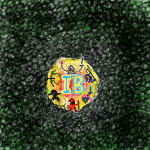 Hey there, welcome to the IB forums . Slowdive is the author of Lanterna, so he is best placed to help you out with this one. My poor brain is too old to remember the details of rations in Lanterna, but at least I dont recall any troubles of obtaining them. Maybe you found a bug, but that this hard to tell for me. Keeping fingers crossed that you can resolve this one.